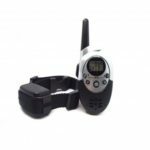 This Papanipet Pet Dog Training Collar is very popular with the pet dog trainers. 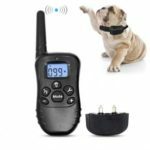 Help you to control and train your dog in effective range by a series of functions, including Beep, Vibration, Static Shock punishment, etc. 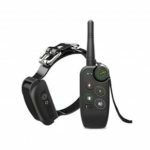 Remote control design makes you can remote bark stopping, running about correction, easy calling back, biting and fighting. Easy to have a better-behaved pet. 3 Training Modes: Beep/ Vibration/ Static Shock, meeting your different training needs to help correct your dog&apos;s inappropriate behaviors. 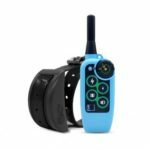 400m Super Long Remote Control Range, never worry about losing control of your beloved pet and keeping your dog out of the dangerous situations. Great for off leash walking. 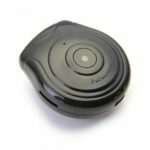 Rechargeable receiver and transmitter can be charged at the same time with 1 charging cable, quite convenient and fast. Remote controller has power-saving feature. Power will be turned off automatically if you don&apos;t use it for a long time. Adjustable collar strap makes it fit for most sizes. Can train two dogs at the same time.